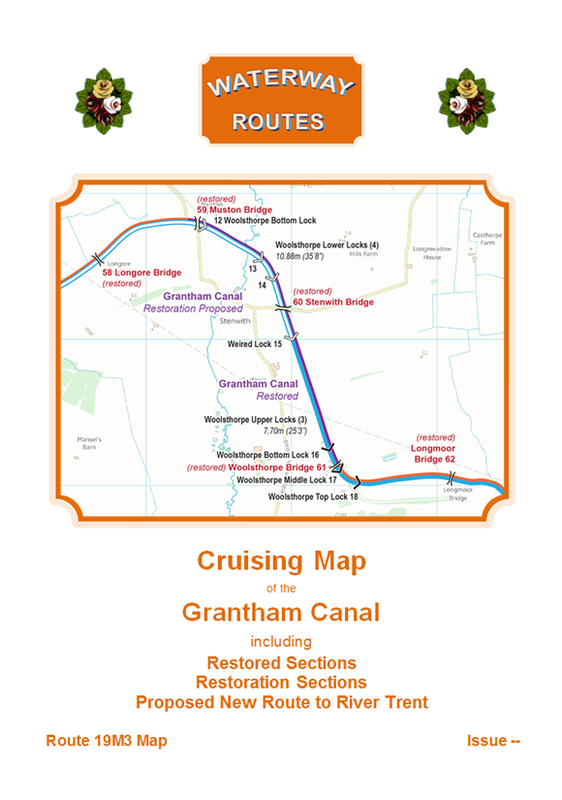 These are my free maps covering the Grantham Canal. 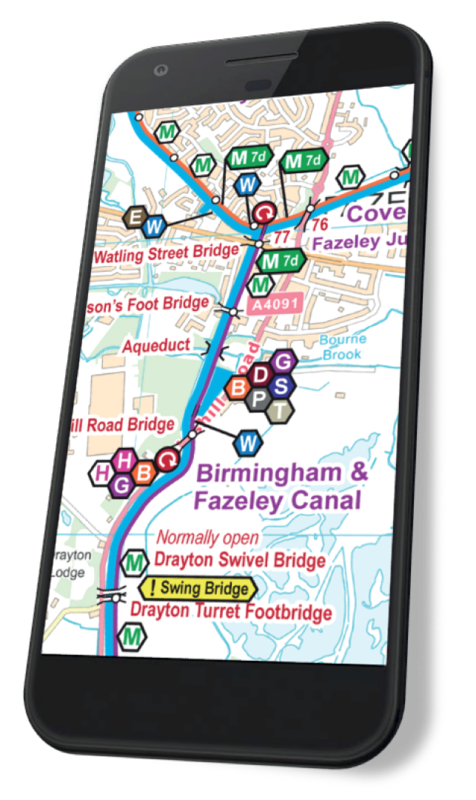 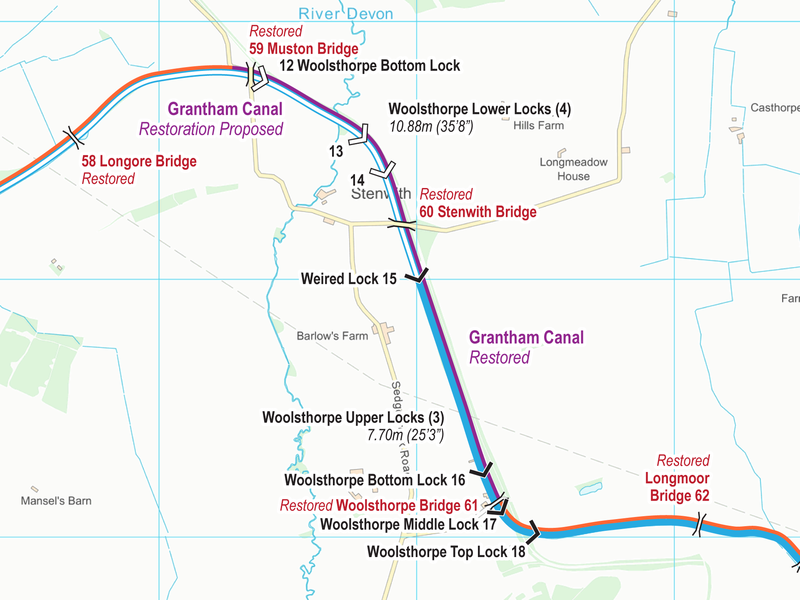 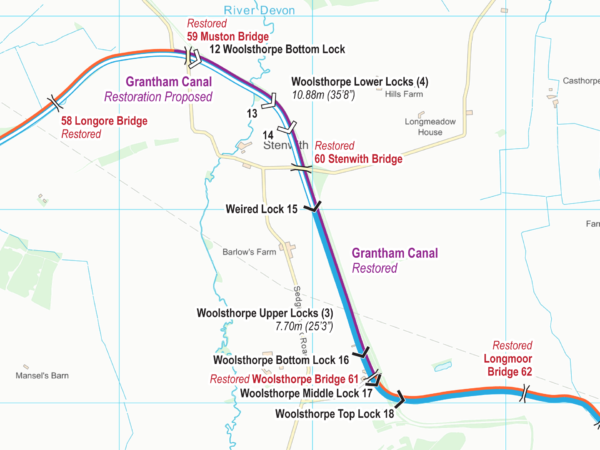 Extract from my Grantham Canal Maps. 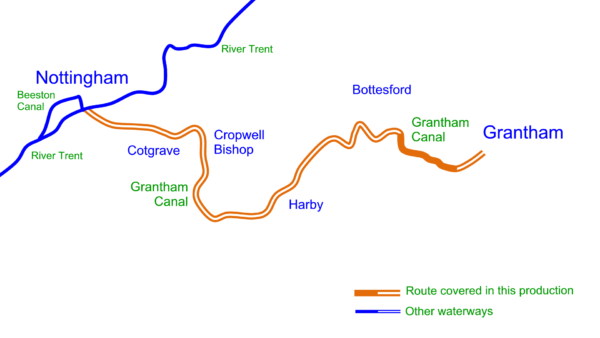 Route covered by my Grantham Canal Maps. 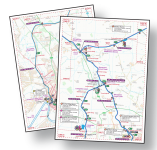 The Acrobat (pdf) map includes 10 pages of maps plus 5 cover pages. 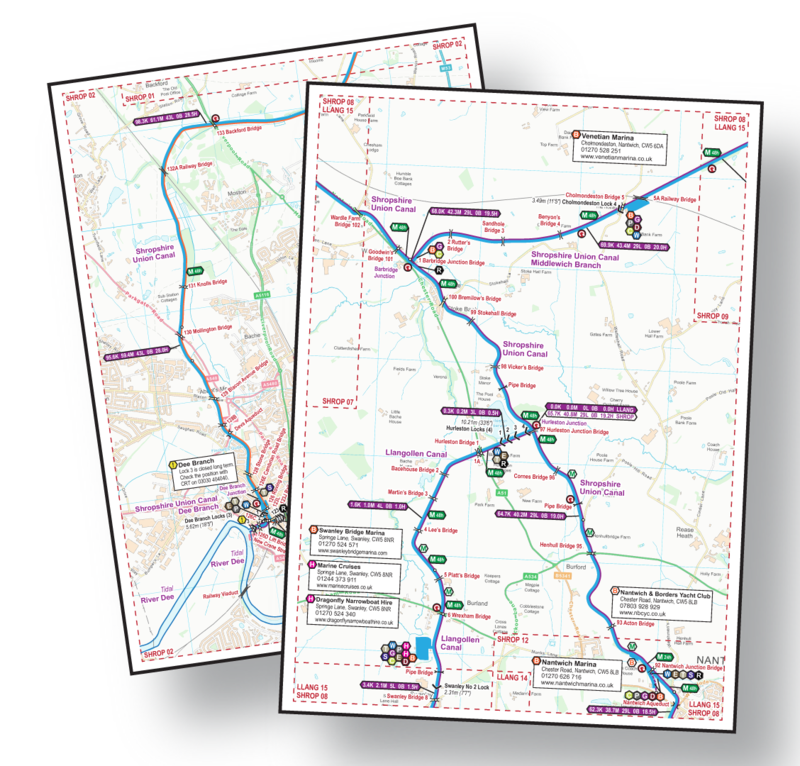 These can be viewed on screen a page at a time.